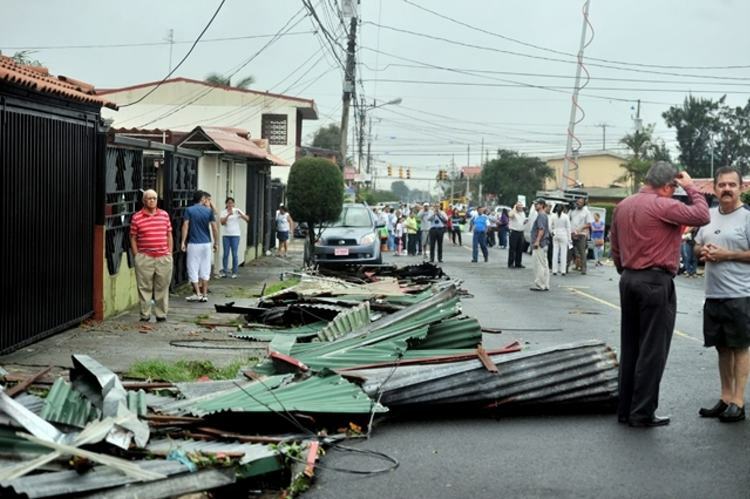 It was just before 2pm Thursday when the skies opened up on Central Valley, most in particular in Heredia, resulting in one woman killed and more than 100 homes damaged. The death was recorded in the community of Guararí, about 5pm, when a tree fell on a house, causing the collapse of a wall. Juan Arroyo, of the Red Cross, said the woman was crushed. A number of houses were unroofed, others suffered some type of damage to their roof and broken windows, as the 90 km/h winds accompanied the heavy rain and lightning. Authorities say that seven homes were destroyed. 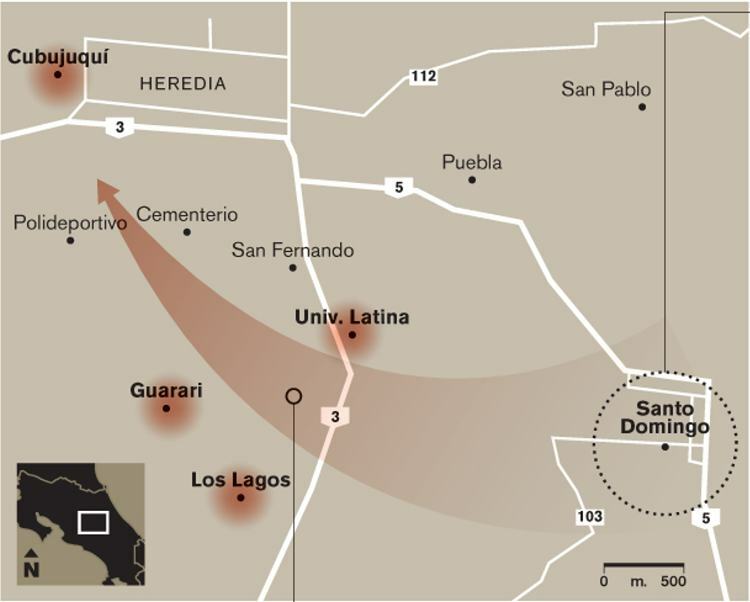 According to the Comisión Nacional de Atención de Emergencias (CNE) the areas most affected were barrio Miraflores de San Pablo de Hereida, Los Lagos, Guararí and San Francisco. Reports of damage came also from Santa Rosa de Santo Domingo, Santa Barbara, La Rusia de Flores and Cubujuquí, in Mercedes. 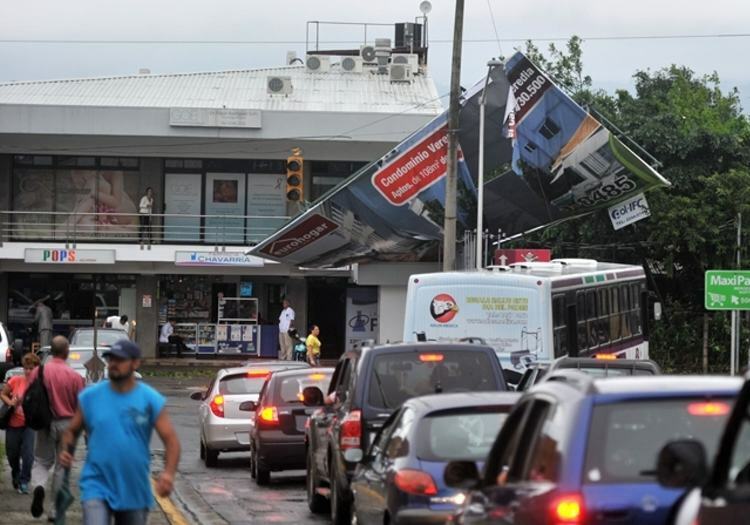 Additional damage was reported in San Rafael de Alajuela and Leon XIII in Tibás, San José. In the area of Pavas and surrounding areas water service was affected for more than 8 hours, with the taps flowing again after 10pm. Flooding occurred in many areas, most due to plugged storm sewers, a normal condition at the start of the rainy season. 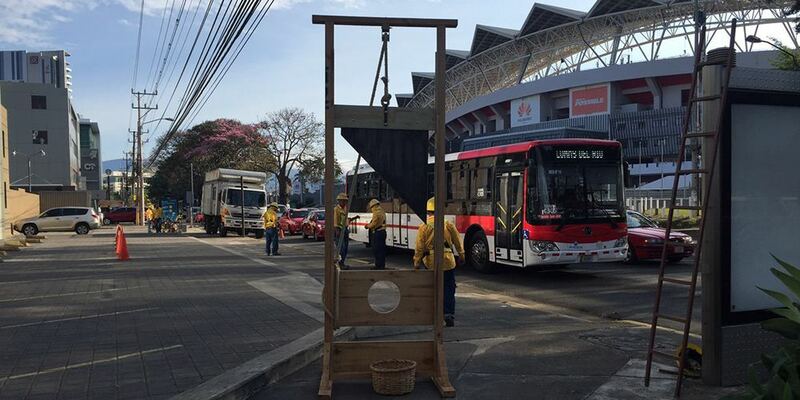 Crews of the Public Service Company of Heredia (ESPH) and Compañía Nacional de Fuerza y ​​Luz (CNFL), meanwhile, rushed to repair power lines and traffic lights. 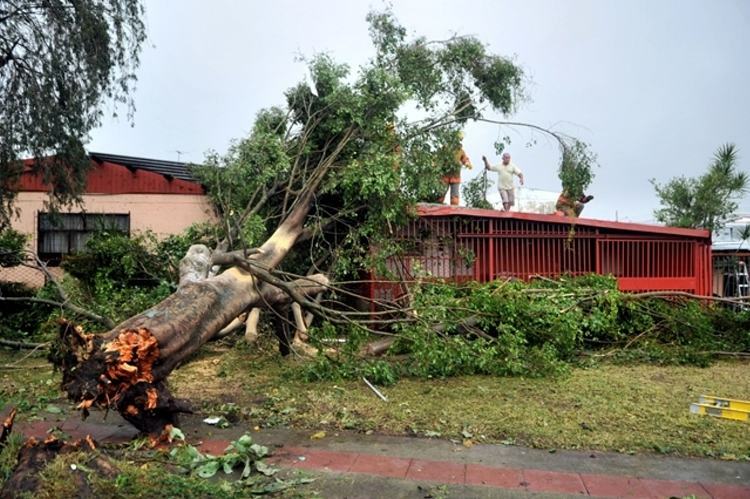 The national weather service, the Instituto Meteorológico Nacional (IMN), said it was a storm and not a tornado. Juan Carlos Fallas, director of the IMN, said the storm originated in clouds called cumulonimbus, generating a strong downdraft in a storm cloud. Coming down fast, the same cloud brought hailstones. Fallas said that this a common occurrence during the rainy season and can happen anywhere. The weather station in Santa Barbara de Heredia reported a waterfall of 61 litres per square metre between 2pm and 3pm Thursday. The normal is 25 litres per square metre. In addition, between noon and 3pm Thursday, a total of 211 lightning rays were recorded over the San José Metropolitan area.